The Picts were an amalgam of tribes who lived in the eastern and north eastern regions of Scotland during the ancient and early medieval period, merging into other peoples around the tenth century. The origins of the Picts are hotly are disputed: one theory claims they were formed of tribes who predated the arrival of the Celts in Britain, but other analysts suggest that they may have been a branch of the Celts. The coalescence of the tribes into the Picts may well have been a reaction to the Roman occupation of Britain. Language is equally controversial, as there’s no agreement on whether they spoke a variant of Celtic or something older. Their first written mention was by the Roman orator Eumenius in 297 CE, who mentioned them attacking Hadrian’s Wall. The differences between Picts and Britons are also disputed, with some works highlighting their similarities, others differences; however, by the eighth century, the two were thought to be different from their neighbors. The Picts and ​Romans had a relationship of frequent warfare, and this didn’t change much with their neighbors after the Romans withdrew from Britain. By the seventh century, the Pictish tribes had merged together into a region named, by others, as ‘Pictland’, albeit with a varying number of sub kingdoms. 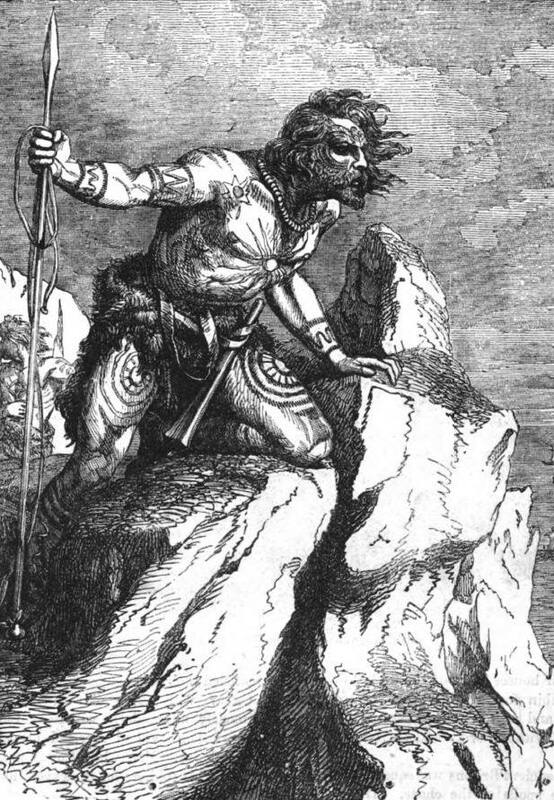 They sometimes conquered and ruled neighboring kingdoms, such as Dál Riada. During this period a sense of ‘Pictishness’ may have emerged among the people, a sense that they were different to their older neighbors that weren't there before. By this stage Christianity had reached the Picts and conversions had occurred; there was a monastery at Portmahomack in Tarbat during the seventh to early ninth centuries. In 843 the King of the Scots, Cínaed mac Ailpín (Kenneth I MacAlpin), also became King of the Picts, and shortly after the two regions together into one kingdom called Alba, from which Scotland developed. The peoples of these lands merged together to become Scots.